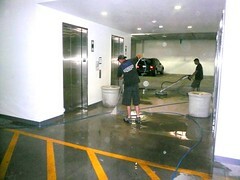 Two of our technicians surface cleaned and power washed the concrete pad outside the elevators in a parking garage at a Scottsdale, Arizona commercial complex. They cleaned up gum, grime, grease, soda spills, coffee spills, etc. 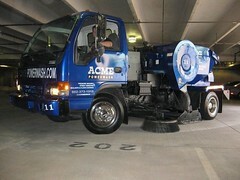 Call 602.373.1515 for a free estimate for pressure washing services at your location.